When Jason Eisen launched Maramoja Transport in late 2013, he was sure that it would solve part of the transport problem he faced regularly when travelling in Kenya. He was even more convinced when app-based taxi giants Uber, and later Taxify, also launched in Nairobi. Now, however, his challenge is to fight off these big spenders in the ride-hailing space. Eisen, who hails from Boston, Massachusetts, started his professional career as a consultant in the US for various domestic and international government bodies where he worked for about six and a half years. 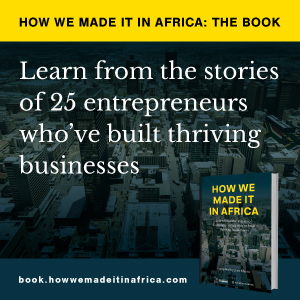 His work often brought him to different countries in Africa where he saw how technology and innovation was growing. This was especially evident to him in East Africa. His business idea sprouted from a challenge he had faced there. “At the time I had a bad experience with taxis here in Kenya. We were sharing stories with a group of colleagues and everyone had these similar horror stories with transportation,” he says. He couldn’t quite trust the pricing structure of the taxi services and the delays he faced while waiting for a taxi made these services unbearable for him. On his way back to the US at the time, he remembered having used more than seven digital transport services before, including Uber, Car2Go, a bike sharing service and even a metro, train and bus app – services that were not available in Kenya. He remembered how he thought that these services didn’t exist two years prior in the US, but was already thriving at the time. “I thought about it constantly and two months later I quit my job and moved to Kenya,” he says. Then he started Maramoja Transport, an on-demand cab service provider in Nairobi, in 2013. For every entrepreneur, getting the required finances to launch a business is the first hurdle. Eisen’s first partnership agreement, that was to provide funds, did not go well. “When I came here I had a partner. We had a verbal agreement to work together and finance the business equally,” he says. “He was the person who actually encouraged me to move here. But about two weeks after I came, he disappeared, traveled out of the country and did not return my calls. “It was a challenge because I was living in his house at the time and I came home one day and found the locks changed. My plan for funding hit the fan. I had to figure out how to get money if I wanted to execute successfully,” he says. He started taking consulting jobs on the side to finance the business and then roped in friends and family who gave additional funds. Later, the company attracted angel investors and it is currently negotiating a funding round with venture capital firms. Eisen is now focusing on the expansion of the company. Maramoja has signed franchise agreements with local businesses in Ethiopia, Cameroon and Ghana. Other countries will be targeted in the next 18 months. The digital recommendation engine for Maramoja Transport has also spun itself into a stand-alone product under the brand UTU, which means ‘humanity’ in Kiswahili. The company is looking to extend its technology globally to other sectors, including e-commerce and on-demand services. Being in the cab hailing service, Maramoja faced stiff competition from Uber, Taxify and LittleCab (once these launched) that had considerable marketing budgets compared to his company. “They have spent millions of dollars on marketing in Nairobi. We have only spent an average of US$30,000 on marketing, but still made strides in the market. We have been able to beat the big guys on a per-dollar spending basis,” he says. Their competitive advantage is to offer a more localised experience. His application recommends drivers and riders through social connections: mining data on users’ contacts on their phones. This ensures that the recommended passenger and driver share social connections, in the end improving on trust. Maramoja Transport has also made it a priority to treat their partner drivers as ‘human beings’ and not let algorithms dictate services. “Maramoja rides on valuing the driver and that he has his own clients he can bring on board onto the platform,” Eisen adds. “There is nothing you can do about competition. You cannot wish them away but have to take them on,” he says, and adds that the story of David and Goliath illustrates how being small has its advantages. He has also learned how to deal with partnerships after his first ordeal with his initial business partner and that having a strong dedicated workforce can be the difference between success and failure.